Find out about the winegrowing tradition and country life in Castile and León at our 17th-century ancestral home. Be amazed by the magic of our underground galleries and learn how our great wines are made more than 30 feet beneath the ground. Discover two major grape varieties: Verdejo and Tinta de Toro. Bodegas Campo Eliseo is a combination of know-how and passion, tradition and innovation. It is Toro and Rueda. It is the place where great wines are born. It is authentic and reflects the strong character of the region. With François Lurton and Dany and Michel Rolland at the helm, Campo Eliseo is the story of oenologists passionate about unique varieties and soils which, under extreme climate conditions, give us great wines, made deep underground. A winegrowing area steeped in several centuries of history, a grape variety - Tinta de Toro, pre-phylloxera parcels, poor soils and pure authenticity: the D.O. Toro appellation has a unique alchemy discovered by François Lurton in the 1990s. By the mid-2000s, this 'secret garden' was set to become one of Spain's best-known appellations around the world. In 2001, François Lurton teamed up with renowned oenologists Michel and Dany Rolland, who likewise saw the region's potential, to produce a great wine: Campo Eliseo. 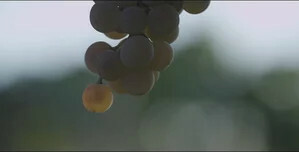 In 2013, Bodega Campo Eliseo expanded naturally into the neighbouring Rueda appellation, a terroir which François Lurton knows well, having worked there since the 1990s. A unique cellar was built, combining tradition and modernity, to serve a vineyard at the heart of the appellation, on the great plateaux of La Seca, on the banks of the River Duero, in a quest for the noblest expression of the Verdejo grape.